100% Polyester moisture management/antimicrobial performance fabric. Double-needle hem. Badger heat seal logo on left sleeve. Self-fabric collar. 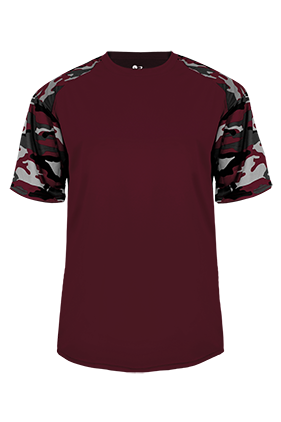 Sublimated shoulder panels and sleeves. Badger sport paneled shoulder for maximum movement.